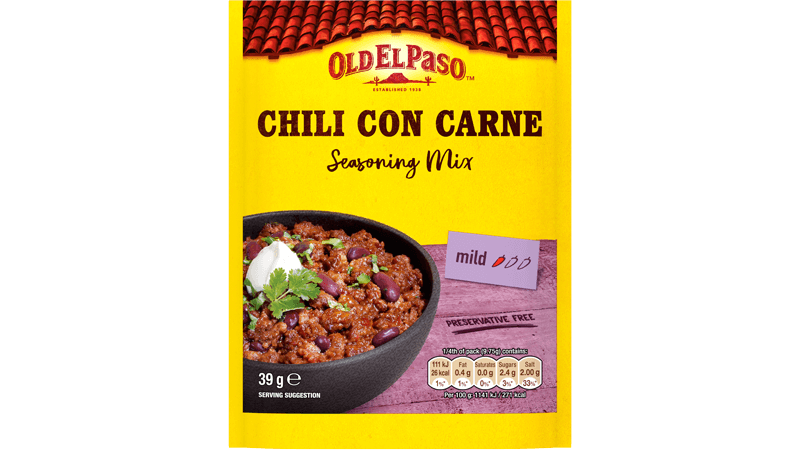 A spicy taco seasoning mix and enchilada sauce give slow-cooked pulled pork masses of flavour – perfect for feeding a crowd! 1. Place the onions and water in the base of a slow cooker pot. Place the pork joint on top and sprinkle over the chilli seasoning mix. 2. Place the lid on the pot and cook on Low setting for 6-7 hours until the pork is very tender. Remove the joint from the pot, place on a chopping board, cover and leave to rest for 10 minutes. Use a ladle to remove most of the cooking liquid from the slow cooker pot and discard. 3. Use 2 forks to shred the pork and return the shredded meat to the cooking pot along with the enchilada sauce. Increase the setting to High. Cover and cook for a further 30 minutes until piping hot. 4. Serve the pork mixture piled into the split rolls, and top with soured cream and coriander. 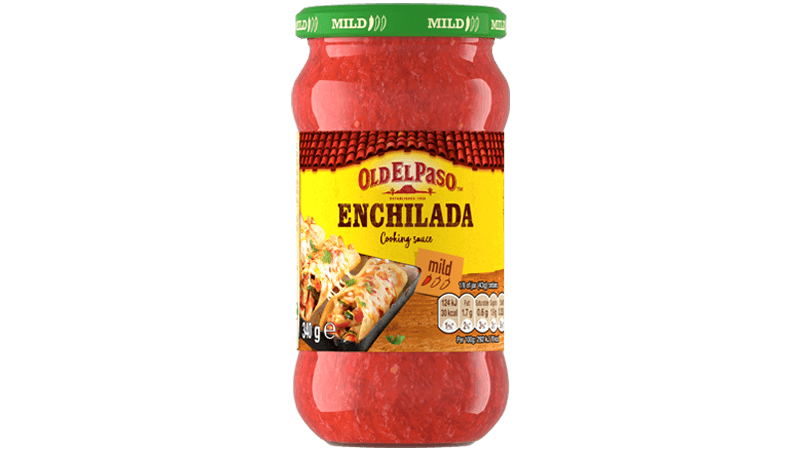 • Instead of crusty rolls why not try serving the shredded pork in warmed tortillas with shredded lettuce and soured cream. 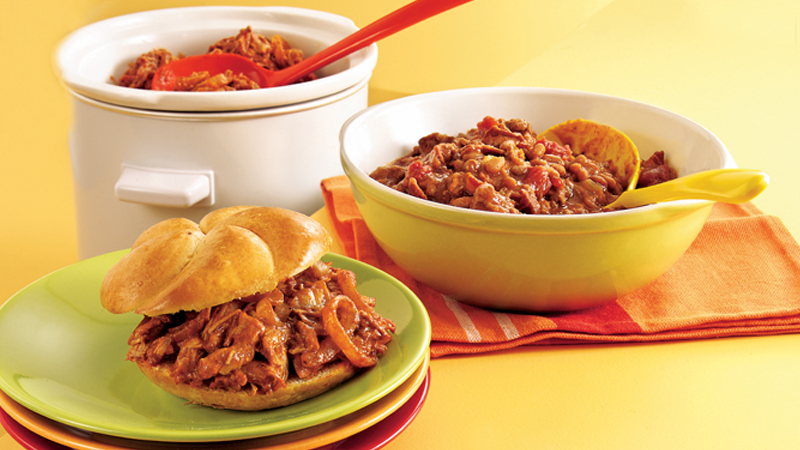 • You can make the pulled pork a day in advance then reheat in the microwave (in batches) to serve.